This is a guest post written by Christian Hamilton. Want to contribute? Check out the 2017 publishing calendar. It’s fair to say no brand or individual ever intends to have something happen to their business that negatively affects their online reputation. Unfortunately, with 59% of businesses facing a crisis at some point in their lifespan, it’s better to be prepared. The advent of platforms like blogs and social media grant brands and individuals many opportunities to be authentic, transparent, and easily accessible to their audience. Conversely, all of these avenues for instantaneous communication have also created spaces for negative narratives to spin out of control faster than ever before. Even if your brand successfully navigates the treacherous waters of a public relations crisis, the after-effects can haunt your brand’s search results for a very long time. To help mitigate future problems, preparation is key. Take the time to develop an actionable crisis management plan with your brand’s key stakeholders and communication experts before a crisis strikes. Having a crisis management plan reduces the possibility that a negative or erroneous article will rank in your top search results long-term. 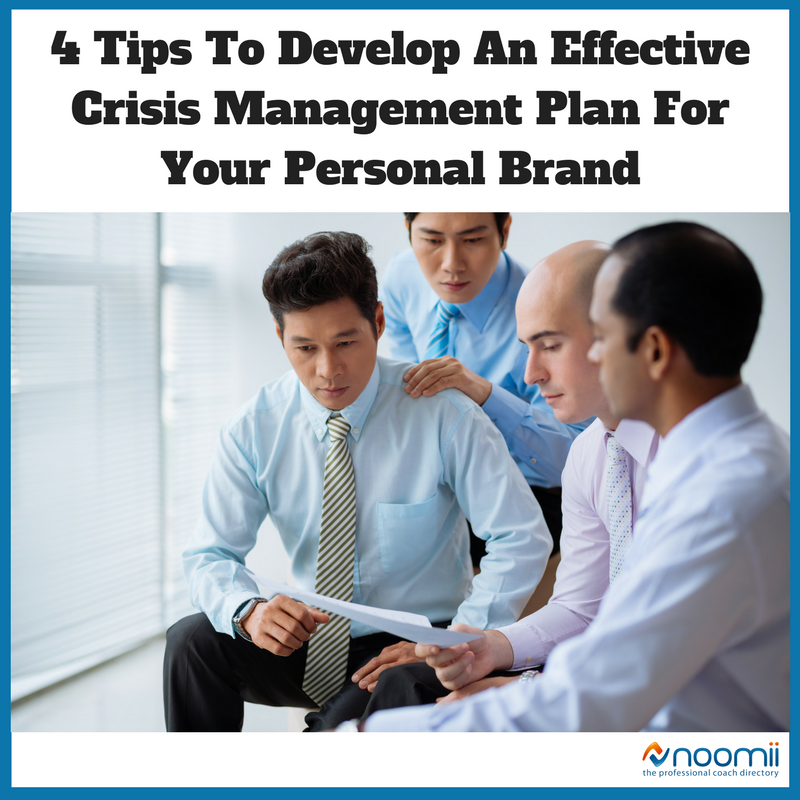 In the following guide, we explore four steps you can take that will form the foundation of a crisis response plan for yourself or your brand. You can’t fight what you can’t see, so the first step is to become familiar with the search landscape around your brand. Begin with a standard Google search of your brand name and any prominent team members and be sure to look through the results in news, images and videos. Familiarize yourself with online review sites relevant to your brand/community and monitor the content published there. Keep track of what’s published about your brand on social media sites. Social media is proven to have a strong impact on the news, too. According to a study from ING, almost half of the surveyed journalists stated they publish stories as quickly as possible and then correct any erroneous information later if necessary. Having a strong and active presence on your social platforms will provide a layer of protection in the event of a crisis. Engaging with your community and publishing content on a regular basis ensures that, should negative news arise, it won’t dominate your online presence. Try to have a contingency plan in place for every possible scenario and if the task seems insurmountable, consider hiring a team of reputation management experts. A common mistake to avoid in the face of a crisis is to panic and react before the entire situation is understood. Make sure you thoroughly research what happened before making a statement you may have to rescind later. It’s important to move quickly, but even more important to get the facts straight first. After navigating through the crisis event, take a moment to analyze how your plan performed and shift your focus onto rebuilding public trust and opinion. Even if the event was a false positive or an erroneous story about your brand, it’s important to shift the digital conversation back to news that reflects well on your brand’s reputation. Christian Hamilton is a Reputation Specialist with ReputationMangement.com, a leading provider of premier reputation management services to organizations, businesses, and individuals around the world. Sign up to Noomii to receive the latest coach marketing tips!